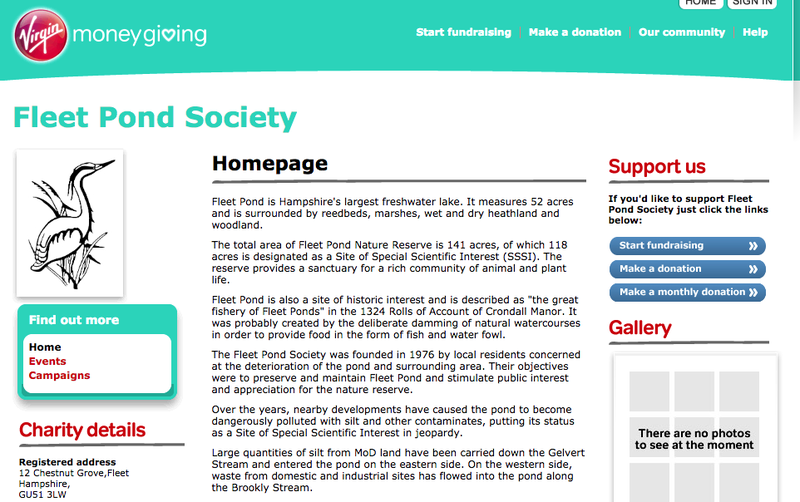 Recently Colin Gray, Chairman of Fleet Pond Society, and his wife Mavis were having lunch in Serendipity in Fleet, when a lady sitting opposite noticed the FPS logo on Colin’s gilet. 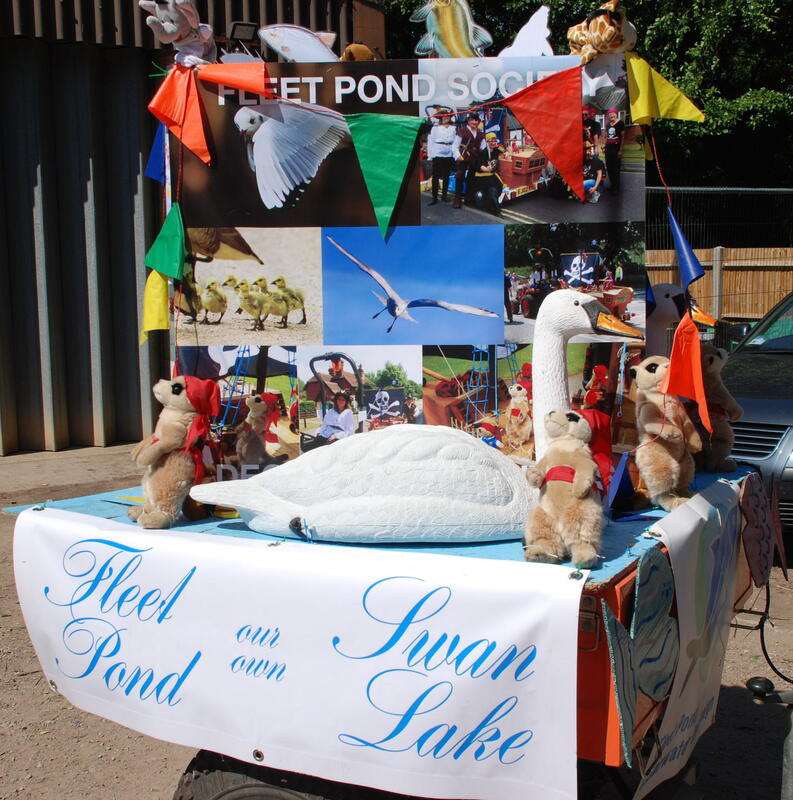 “My husband has a photograph of a bridge over Fleet Pond” she said, “would you like to see it?” This was followed up and resulted in Fleet Pond Society obtaining the remarkable picture above. So, literally, a really good example of serendipity, as the shop’s tagline is ‘the art of making happy & unexpected discoveries’! “The records of the training activity of the Royal Engineers (RE) and other army units based around Fleet and Aldershot are very limited. The RE Museum has not come up with any records of the RE training in the 19th century in this area. 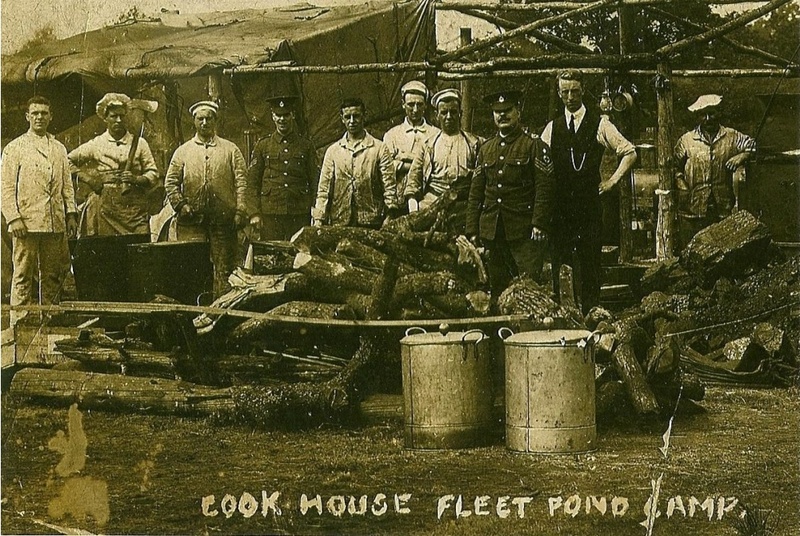 The local historians have written on the subject based mostly on what people living in Fleet have either remembered or been told by relatives. The RE built the large island off Sandy Bay that we call Fir Tree Island, for example. 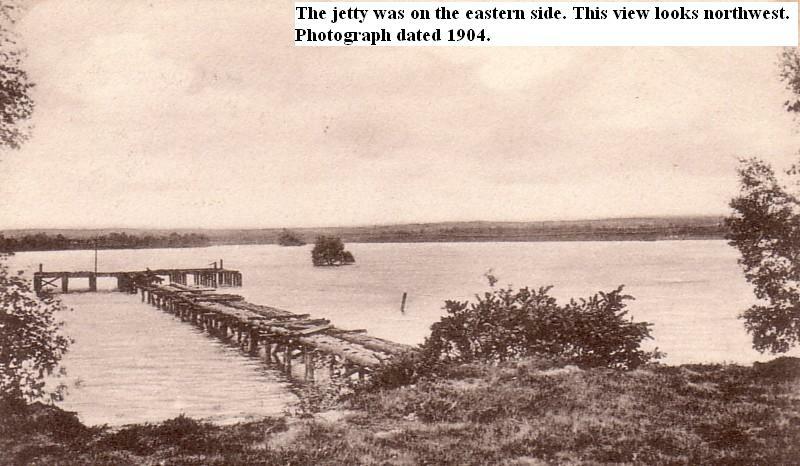 They also built the large T-jetty that was demolished in 1912 to permit floatplane trials from the embankment where Lions View now stands. 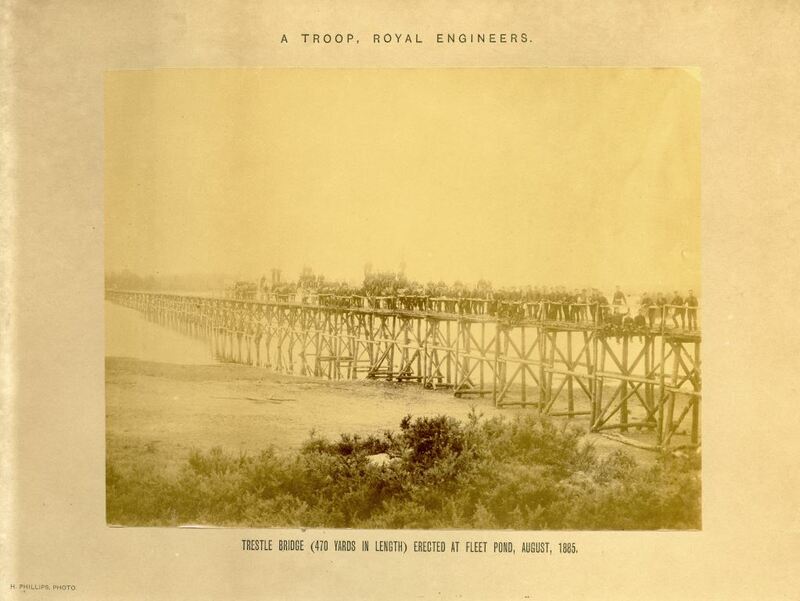 Mike Smith, who sold me the bridge photograph, believes the large trestle bridge was in fact built from that same embankment and the T-jetty might have been part of that bridge left as a jetty when the bridge itself was demolished. The bridge was 470 yards long and extended from the sandy embankment on the eastern side across Fleet Pond to where there is now a white house set well back off the road at 93 Kenilworth Road. This house has views of the Pond through the viewpoint we opened to install two seats. 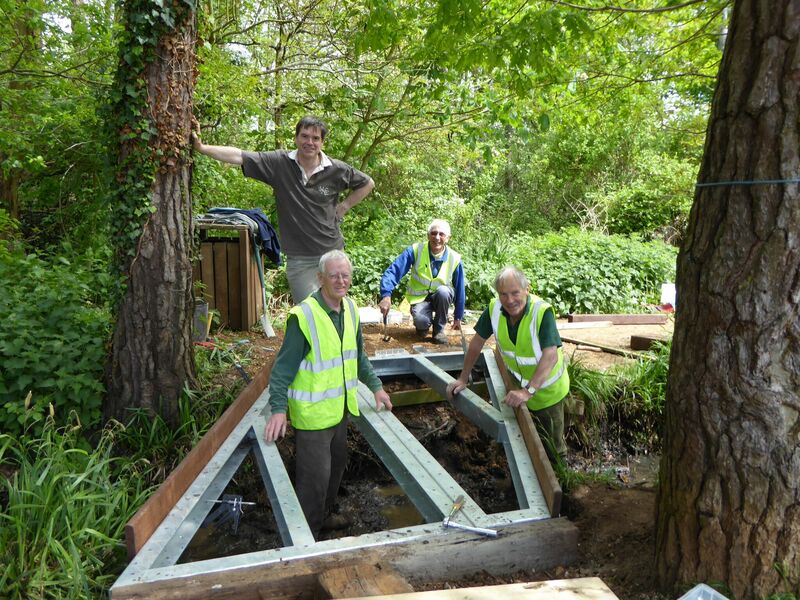 It is near the small boat jetty built by our Last of the Summer Wine volunteers. 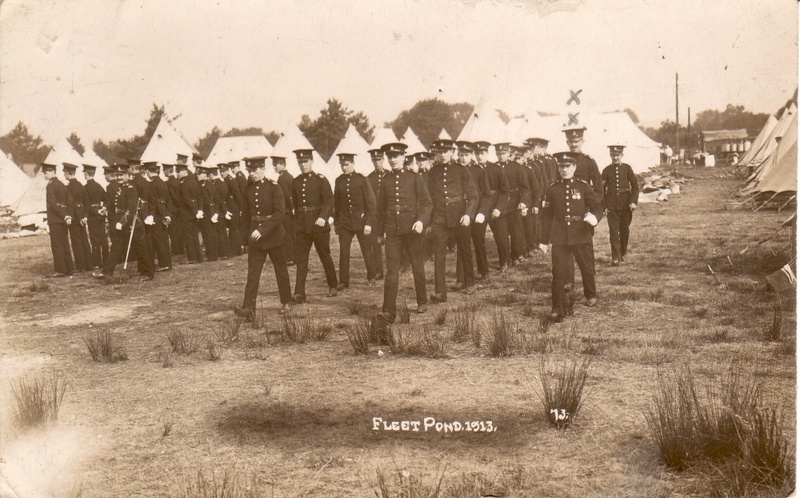 Here are some other impressive pictures that relate to the military history of Fleet Pond, plus links to the associated articles. Picture credits: top (Colin Gray) and for the others, please see the original posts. There will shortly be a permanent tab on the blog (as with Joining FPS above) that gives the same information, in case you wish to do this at some future time. 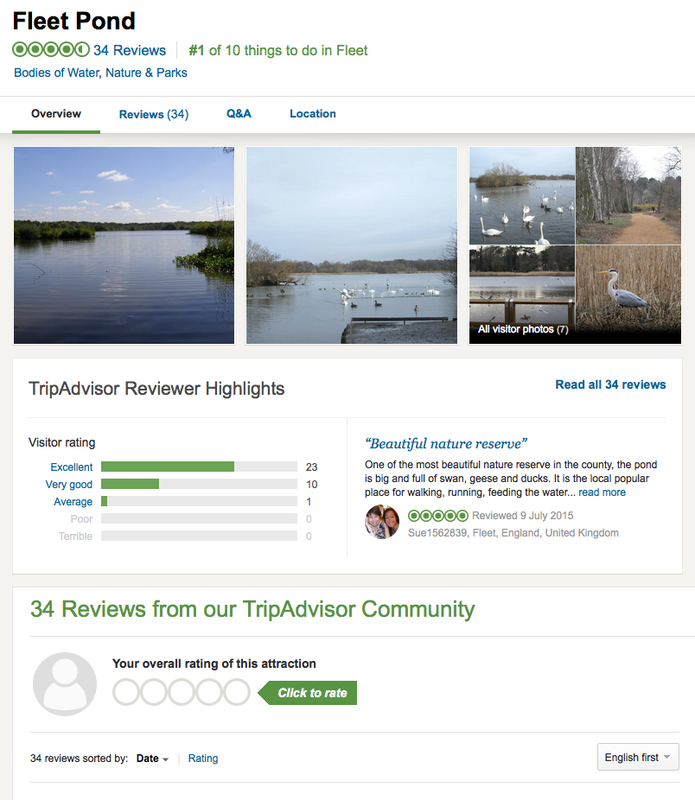 There have now been 34 reviews of Fleet Pond on TripAdvisor, 23 of which rate it as excellent! 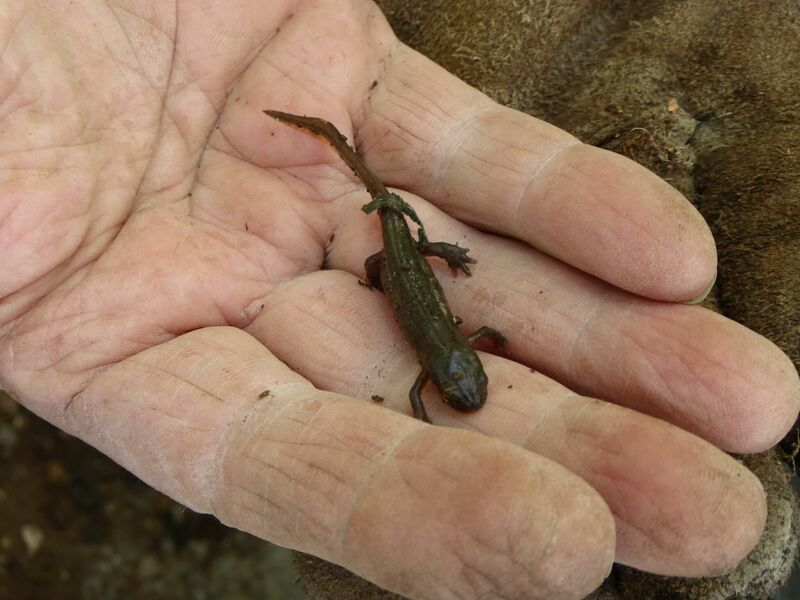 If you haven’t been to the Pond before, why not try it out this weekend? I’m sure you won’t be disappointed! 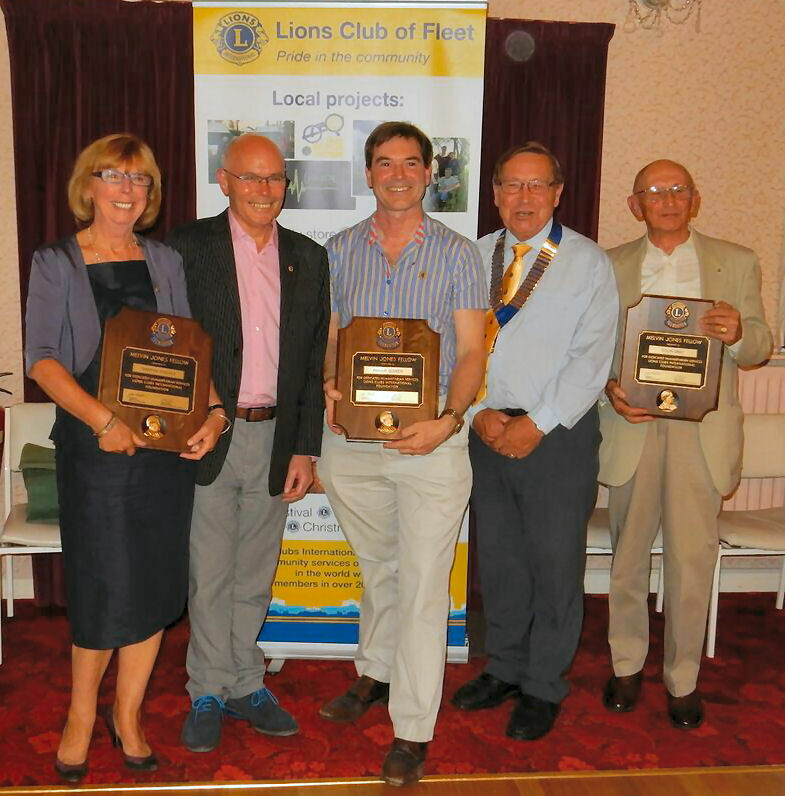 “Colin Gray, Chairman of FPS, was recently presented with the highest honour Fleet Lions could bestow, a Melvin Jones Fellowship. He was given a very smart plaque to mark his achievements and this was to recognise all the work Colin has done to support the town, the Pond and Lions. He gets to be an honorary Lion too. The award is named after the chap who founded Lions in Chicago in 1917 and Fleet Lions do not hand them out lightly. He’s only the 4th non-Lion to be given this in 40 years. 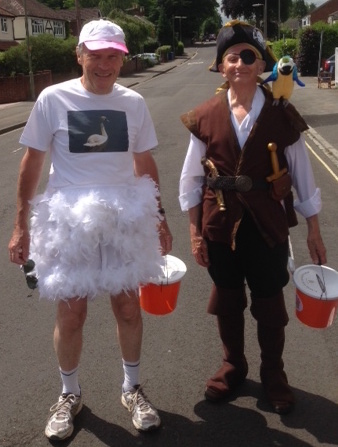 The others are Beverley Allardice who runs the Lions Community Store, Rotarian Geoff Baker and Dianne Rust (who set up and runs Marfan). Only four Fleet Lions have been given one. You can read about Fleet Lions and their activities here and there is an interesting biography of Melvin Jones here. 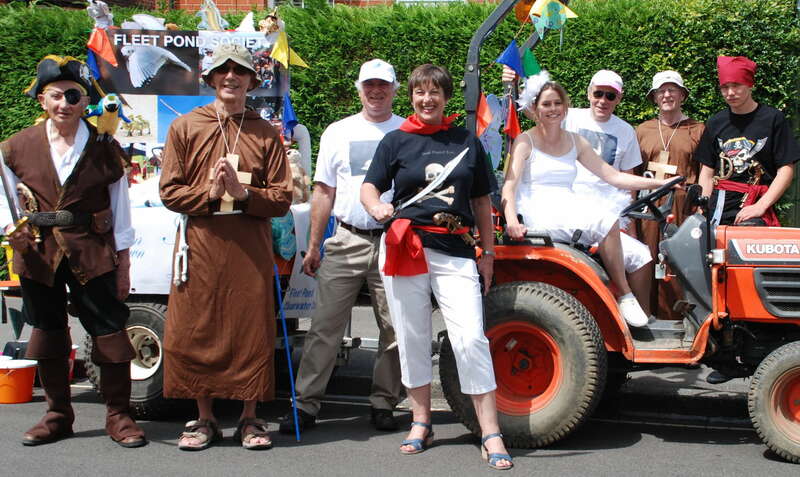 Here are some pictures of the Fleet Pond Society (FPS) team and float from this year’s Carnival. 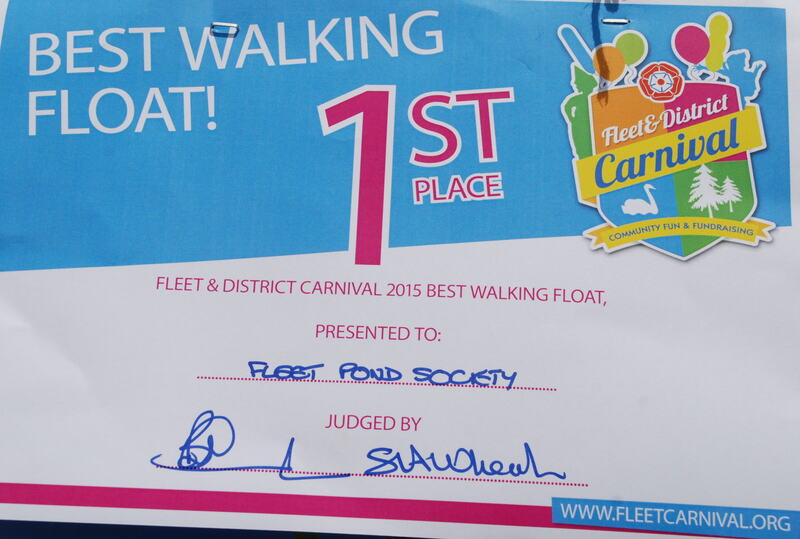 We’re happy to say that FPS was awarded first place in the Walking category. Many congratulations to Terry Austin (who master minded the project) and the rest of the crew! The theme for 2015 was ‘Through The Decades’ and there was a lot of competition, see here for the list of over 25 entrants. 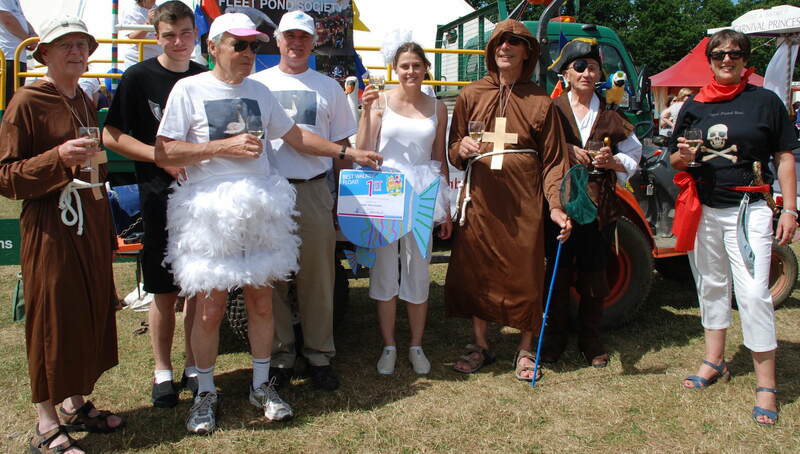 In case you’re wondering, in total there were 2 monks, 3 swans and 3 pirates in the FPS walking team. Relaxing with a celebratory drink! There are some impressive general photos of Fleet Carnival 2015 here. Can you spot the one that features FPS? The above pictures were kindly provided by Michelle Salter. Here are some photos and a short video of the (secretive) building of Grays Bridge – you can read about it’s interesting background here. Putting a bridge together is trickier than you might think! 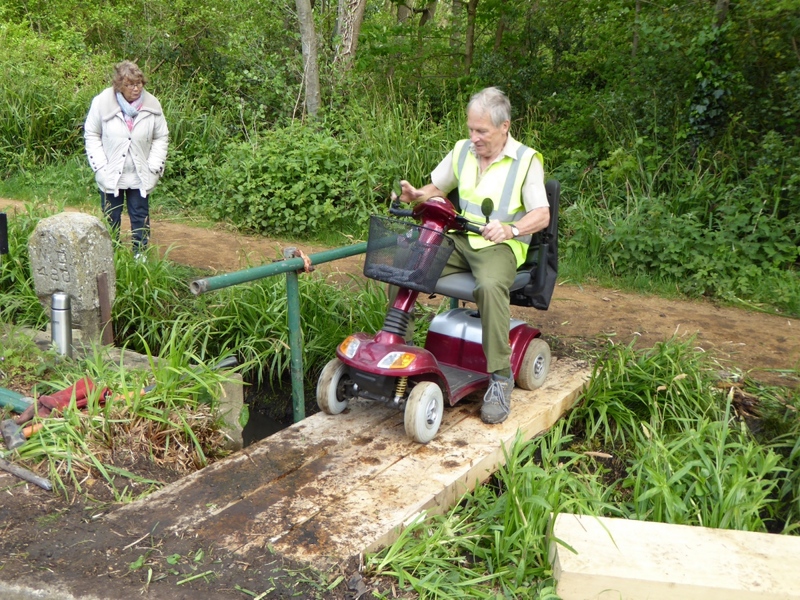 Making sure the temporary bridge was up to the job! 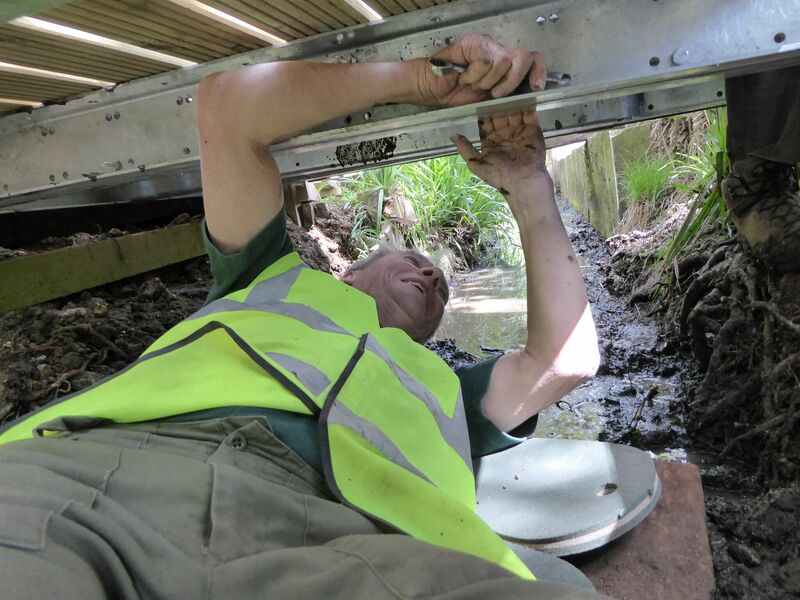 Phill Gower, who was a member of the team, has produced an interesting time-lapsed video of the bridge building activity, where the three days of work are compressed into just over a minute! This video can also be seen on the Fleet Pond Society Photo Group on Flickr, see here. The above photos were kindly provided by Geoff Dee. 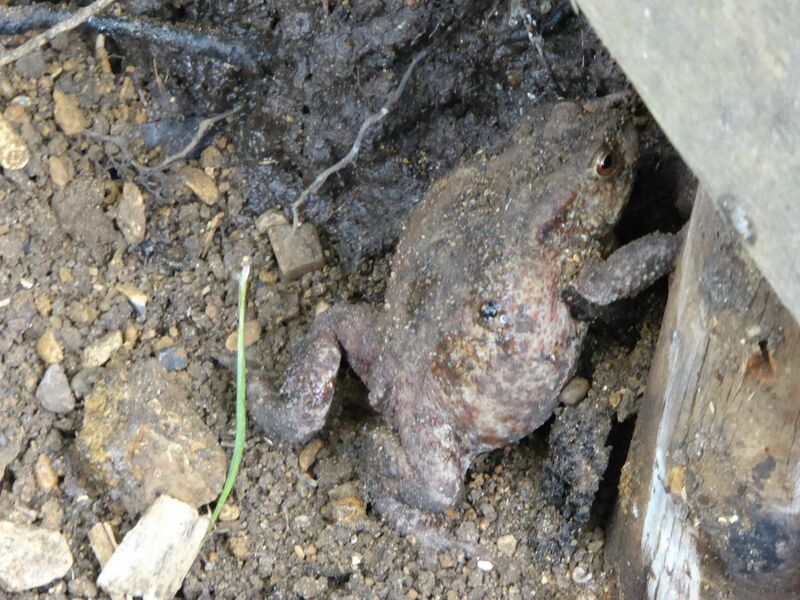 You are currently browsing the Fleet Pond Blog blog archives for July, 2015.